Happy 25th Anniversary to 2Pac’s second studio album Strictly 4 My N.I.G.G.A.Z..., originally released February 16, 1993. Recalling Tupac Shakur’s recording career before the release of All Eyez on Me can be hard. His story is dominated by everything that surrounded the release of that album in 1996: the high profile court cases, the controversial record deal with Death Row, the west coast versus east coast beef, and the series of violent episodes that ended with his death in September of that same year at the age of 25. Drama aside, 2Pac's earlier albums also sometimes get overlooked in conversations about how west coast gangsta rap hit its stride in the early ‘90s, dominated as it was by Dr. Dre, Ice Cube, Above the Law, and Compton's Most Wanted, among others. 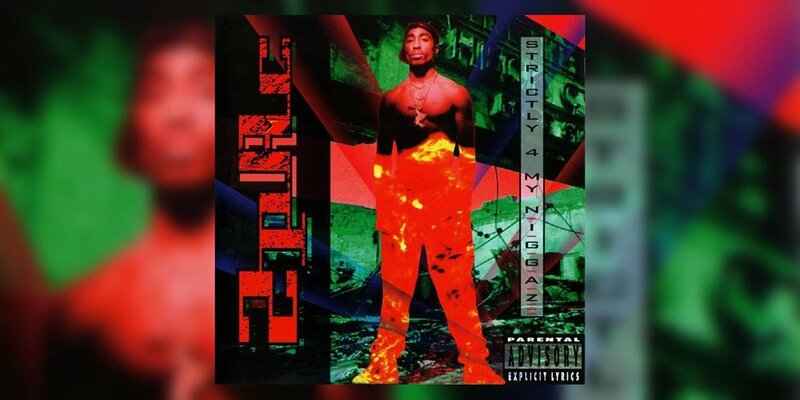 But 2Pac was right there in the thick of it, releasing 2Pacalypse Now in 1991 and Strictly 4 My N.I.G.G.A.Z… in 1993. He wouldn’t reach Dre-level stardom until All Eyez on Me—and then way beyond that posthumously—but these two albums contained the clear makings of the martyred man he was to become. Strictly 4 My N.I.G.G.A.Z… also captures just how contradictory 2Pac could be. Violent and misogynistic one moment, tender and calling for peace and an end to racial discrimination and police brutality the next. It’s a thin line to walk, but like Ice Cube before him, an obvious influence, few did it better. The fire in 2Pac's belly reveals itself from the very first track, “Holler If Ya Hear Me,” and the interlude that follows (“Pac's Theme”). Inspired by his activist mother, the late Afeni Shakur, 2Pac’s lyrics and delivery are angry and politicized. Few issues escape his crosshairs, but there are particularly strong words for the anti-rap protests gathering steam at the time. “Holler If Ya Hear Me” also has a tragic side story, like so much of 2Pac’s life. The track was produced by Stretch, a beatmaker and emcee for the 2Pac-affiliated group Live Squad. Although friends and collaborators since the beginning, their relationship soured in the aftermath of the infamous 1994 2Pac shooting in New York. The incident allegedly led to the murder of Stretch in 1995, a year before 2Pac's death. Stretch was among a varied mix of mainly now forgotten producers on Strictly 4 My N.I.G.G.A.Z…, alongside contributions from established names like Jam Master Jay and Special Ed. The sound is still cohesive regardless of the disparate styles, and curiously east coast sounding. This is ironic; 2Pac may have been born in Harlem, but he made California his home and repped it harder than anyone during the coastal wars. Next up is “Last Wordz,” a highlight by virtue of guest appearances from Ice Cube and Ice-T. The former was at the peak of his career and shows why he managed to have such a profound influence on 2Pac. The latter reminds us of his OG status with one of his last great verses before his music went a different direction and a lucrative film and TV career beckoned. 2Pac is a little outshined on the track but still holds his own, and it’s an exciting moment of alignment between three eras of gangsta rappers. The album continues with more of the same until “Keep Ya Head Up,” arguably 2Pac’s greatest song. It’s a thoughtful rebuttal to the glorification of life in the streets found elsewhere on the album, focusing instead on the devastating effect it can have on families and children. Similar to the story he told on 1991’s “Brenda’s Got a Baby,” 2Pac approaches issues like the plight of women in the ghetto with compassion and dignity, once again showing the contradictions between the person on wax versus the man in real life. It’s also an incredibly soulful song with vocalist Dave Hollister’s recreation of the hook from “O-o-h Child” by The Five Stairsteps adding to the powerful impact of 2Pac’s words. 2Pac and friend-turned-enemy The Notorious B.I.G. shared a dark sense of their own impending deaths. Their murders were almost inevitable, but 2Pac was also prophetic in other ways. In a perfect world, we’d look back at 1993 as an isolated snapshot of a desperate time for black people in America, of violence, high murder rates, discrimination, and oppression. In reality, little has changed. It’s intriguing to wonder what kind of social and political impact 2Pac could have had if he was still alive today. His death in 1996 saw to it that Strictly 4 My N.I.G.G.A.Z… was one of only five solo albums 2Pac created before leaving us (that number includes 1996’ posthumously released The Don Killuminati: The 7 Day Theory recorded under the name Makaveli). His legacy has been cheapened by uneven posthumous albums and collections since, but 2Pac transcended music, and his presence as a fallen icon remains strong. For listeners who only know his post-death output, 2Pacalypse Now (1991), Strictly 4 My N.I.G.G.A.Z... (1993) and Me Against the World (1995) are where you’ll find 2Pac’s best work from a time before he was living the Thug Life quite so hard.